First, let me apologize for not writing last week. Life interfered and I was away from my computer. Now on to today’s topic. Many of you have probably heard the phrase, “When life gives you lemons, make lemonade.” This summer life is giving me a lemon and I am trying to make lemonade from it. The lemon isn’t particularly sour but it is sour enough to be a hassle. You see the country I live in changed the law on visa application for visas over two years. Before the change, I could go to a testing place, take a test that proves that I can speak, read and write in Portuguese, and qualify for a five year visa. After the change, I now have to take a 150 hour course in basic Portuguese. So basic in fact that we started with the alphabet. This course is conducted in a city half an hour away from where I live. It is 4 hours long and is almost every day of the week. This means I lose time I could have spent on my master’s degree, translation, or any other project I have going for the church. That is the lemon. Now to make lemonade. The class is full of people from all over the world that I would not have met any other way. (We have at least two or three other languages going besides Portuguese in every class.) Because I speak Portuguese already, I am able to help the other students. If nothing else, I will get a couple pairs of hand knitted socks out of the process. (I am so glad the teacher allowed me to knit in class. It makes the time go by so much faster.) By taking this course I will be able to get a five year visa. This will save me money, time and hassle in the long run. A lot more lemonade comes from that one lemon. When I was growing up my mother always said, ‘Life is not fair.’ As an adult, I completely agree with her. Life is not fair. However, I know also that the Heavenly Father is in control of everything. He knew that law would change and I would have to take this class. He knew that it would be a hassle for me to attend. He also knew who would be in the class with me. God sometimes puts us in situations ‘For such a time as this.’ Like Esther being chosen queen so she could save her people. Like Rome conquering Israel so prophecy could be fulfilled and Jesus Christ could die on a cross. Like putting me in a class to be a light. Though my lemon is not particularly sour, maybe your lemon is. 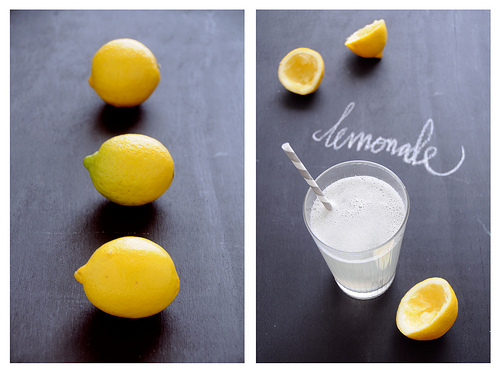 It may need a lot of sugar to make a palatable lemonade. Or maybe God is teaching you to like sour things and preparing you for something in your future. Whatever your situation, please remember God is in control and He placed you where you are on purpose. He not only placed you there on purpose, but He walks beside you all the way. If this has helped you, let me know how God is using your lemons to make lemonade. This entry was posted in Encouragement by admin. Bookmark the permalink. Very interesting thought. I couldnt agree with you more. 🙂 God even knows we will be where we are. Thank you. Today was a lemon day and hopefully lemonade will follow tomorrow.